The Asian Cinemas, under the tutelage of Mr. Narayandas K. Narang, has carved a niche in the South Indian Film Broadcasting industry. The brand has become synonymous with ‘affordable high-quality entertainment experience’! 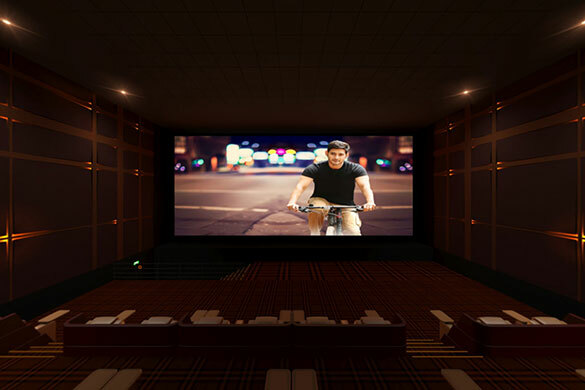 After close to a decade’s pilgrimage of making cinema available to the mass populace of Telangana, the Asian Cinemas in collaboration with Superstar Mr. Mahesh Babu Ghattamaneni and Mrs. Namrata Shirodkar Ghattamaneni are launching AMB cinemas – the first-of-its-kind luxury arm of the Asian Cinemas. Add Seven Star Luxury to Seven 3D Screens! 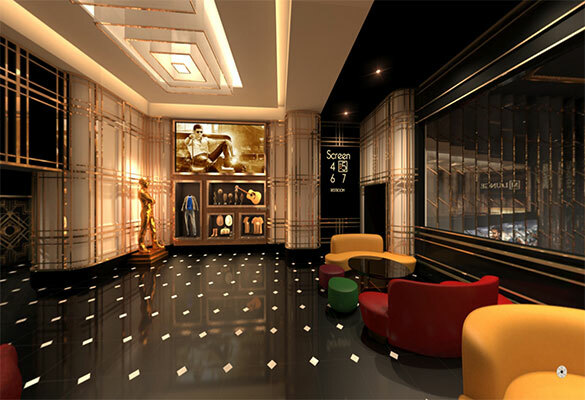 The AMB flagship project offers a unique movie-watching experience and high-end hospitality by bringing together the luxury of hotel hospitality services and sophisticated movie viewing technology. The seven 3D screens display high-quality entertainment with DOLBY ATMOS sound systems installed in coliseums spread across a vast plush auditorium. One 400-capacity coliseum has a laser projector, which is the FIRST in Telangana and Andhra Pradesh. All coliseums, which can together accommodate 1,638 movie enthusiasts, are controlled with the state-of-art Theatre Management System (TMS), which enables centralized operations. All of AMB’s movie halls are laden with exclusive features like ultra-luxurious full-reclining ergonomics with a control panel to call an attendant who is trained to attend to our patron’s orders. What’s more, the establishment has a huge dining area with a live kitchen run by the kitchen crew who are adept at handling our patron's exotic culinary requests. The huge dining hall offers an option to browse through the freshly made gourmet delights, served as buffet or ordered as à la carte. The restrooms resemble a modern-day spa with foot massage facility, high-end showers, and sophisticated toilets. The establishment is located at the heart of the IT industry, Kondapur, with on-arrival valet parking.